Is anyone else eagerly awaiting for summer? It's been heating up here in Manchester, so what better way to celebrate than to don my hotpants? 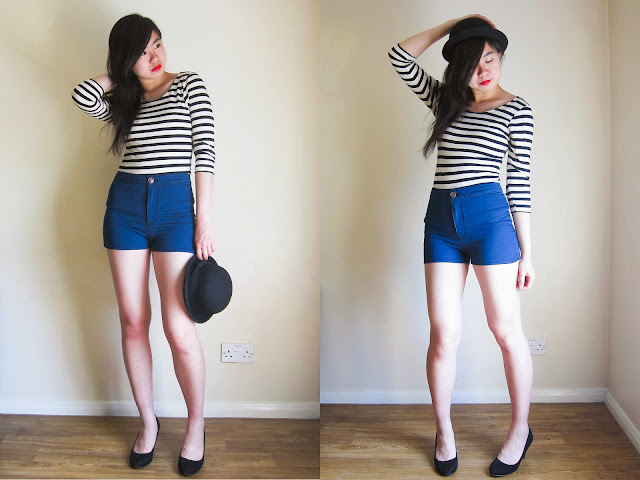 I've been seeing bloggers try out the nautical look as they jet off to their various holidays (sob), so I decided to try the look myself. 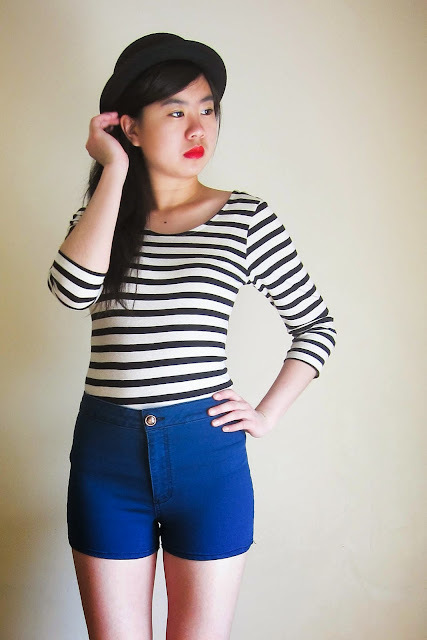 The striped shirt is a classic piece, and I managed to get this one from (where else?) Primark for just £5! It can really class up a piece, and this top is long enough to wear as a bodycon dress as well, although only just, so I would've opted for tights to wear underneath. It's gone a bit Parisian what with my choice of a bowler hat, and maybe a bit pin-up considering the red lippy I threw in and the way the clothes emphasises my curves. 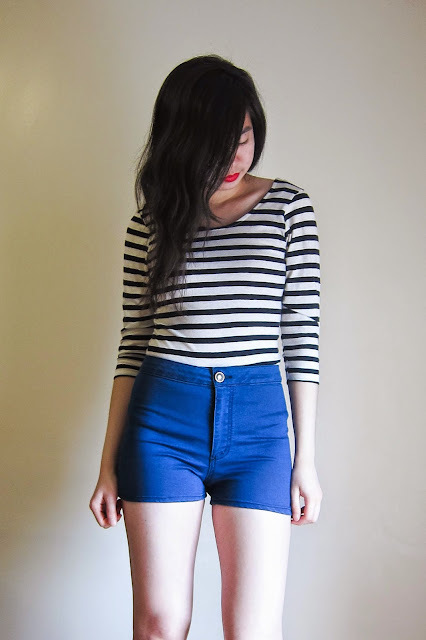 I am by no means a skinny/slim girl, but I've learned to dress accordingly and do appreciate how the UK online shops are more forgiving in terms of sizing than their Singaporean counterparts.